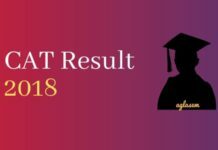 The Indian Institute of Management- Calcutta has released the CAT 2018 Admit Card. The candidates who registered for the entrance exam before the last date by making the complete payment can download it by online mode only. No printed admit cards are sent to the candidates individually through post/ courier. This year, few changes have been introduced in the CAT Admit Card 2018. The candidates can now locate their test center through Google Map using the link provided on their admit card pdf. With the help of this facility, the candidates can view the exact location of their test center, and can then make the necessary arrangements as per it. Check complete details on checking the CAT Exam Center 2018 through Google Map Link from this page. 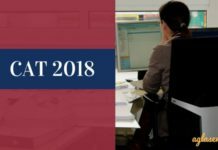 Latest: The admit card for CAT 2018 has been issued. Click Here to download it. 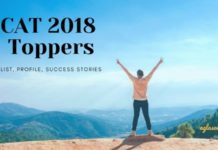 How to Check CAT Exam Center 2018 Through Google Map Link? Follow these simple instructions given below to check the CAT 2018 Exam Center. 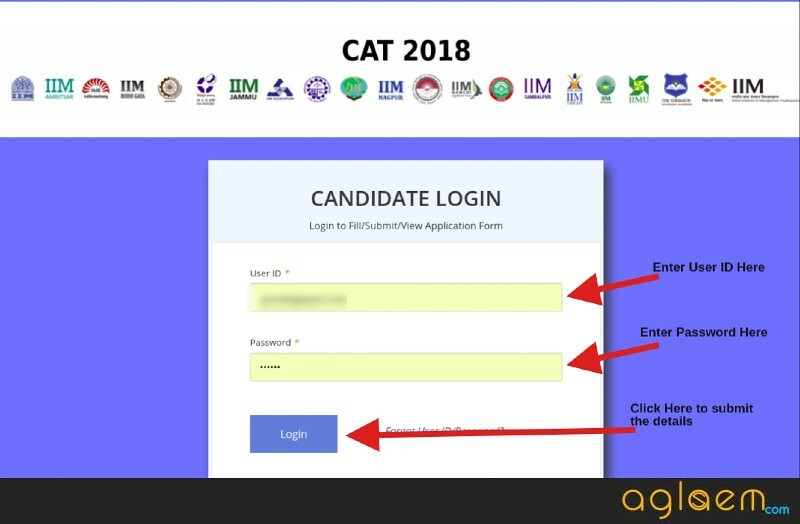 Click on the direct link given on this page for downloading the CAT 2018 Admit Card. Next, log in by entering your User ID and Password. Click on the “Login” button to submit the details and the admit card will be available on the screen. 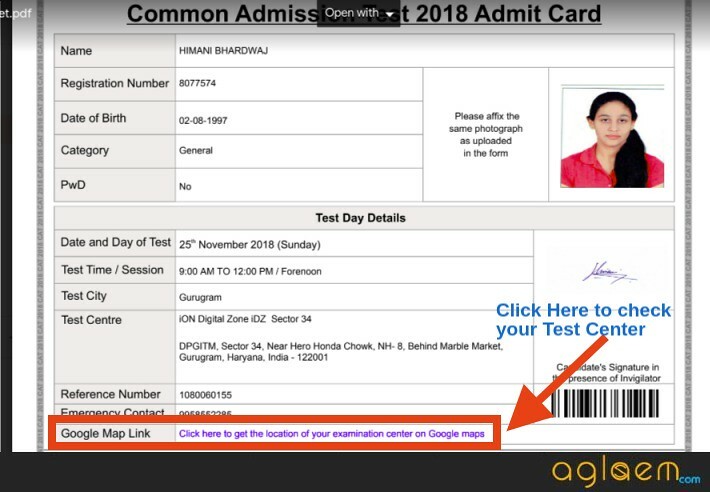 Now, in the admit card pdf, in the Google Map Link section, click on the provided link. 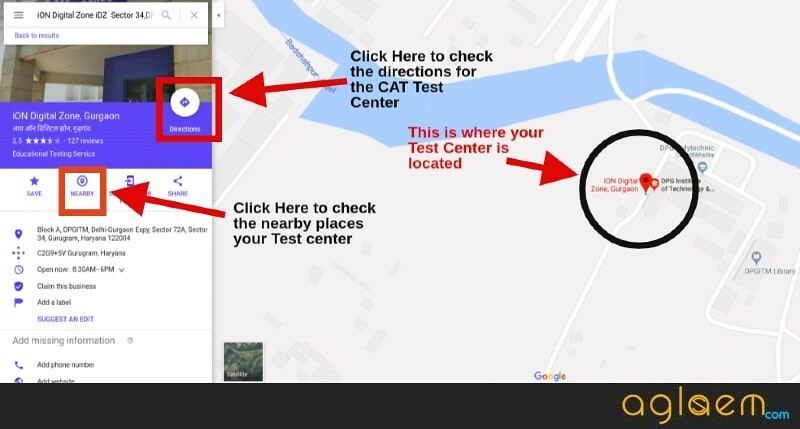 On clicking the Google Map link, the exact location of the test center allotted to you will be available. Now, choose the test center which has been allotted to you. How to Check the Direction for the CAT 2018 Test Center? The candidates can check the direction to reach the test center for CAT 2018 which has been allotted to them by following the instructions below. On the Google Map link, after choosing the test center, you will see an option for “Directions”. click on it. On doing these activities, you will notice that you will also get to know about the traffic in that area and how much time will it take to reach there and all other necessary information. After you are done with the above-given steps, you can then make the necessary arrangements to reach the test center on time. Why Use the Google Map Link Facility? It is advised to the candidates that after download the Admit Card, they must click on the Google Map Link and avail this facility. There are so many reasons why you should go through it once, few of them are listed below. As per the information provided by the exam conducting, the CAT exam will be conducted in two sessions – Forenoon and Afternoon Session. The reporting timings for these sessions are below. It has been mentioned in the important instructions in the CAT Admit Card that the candidates need to report at the test center as per the reporting time given above. Anyone who reports after the Gate closure time will not be permitted to sit for the test. To avoid any such issue, it is advised to the candidates to locate their test center and its accessibility using the Google Map link facility given in the admit card. Since you have to make your own travel and stay arrangements for attending the entrance examination. Reporting at the test center late due to delay in trains or traffic would not be entertained. Hence, it is advisable that if you are required to travel to another city, you should aim at reaching the city on November 24, i.e. a day before the test and ensure that the center is readily accessible on the day of the examination. If you have any questions about it, then let us know in the comment section below.